My first sojourn into clay came about when I enrolled in evening classes to help me unwind after work. Great therapy; up to my elbows in mud and meeting people who enjoyed the same form of entertainment. 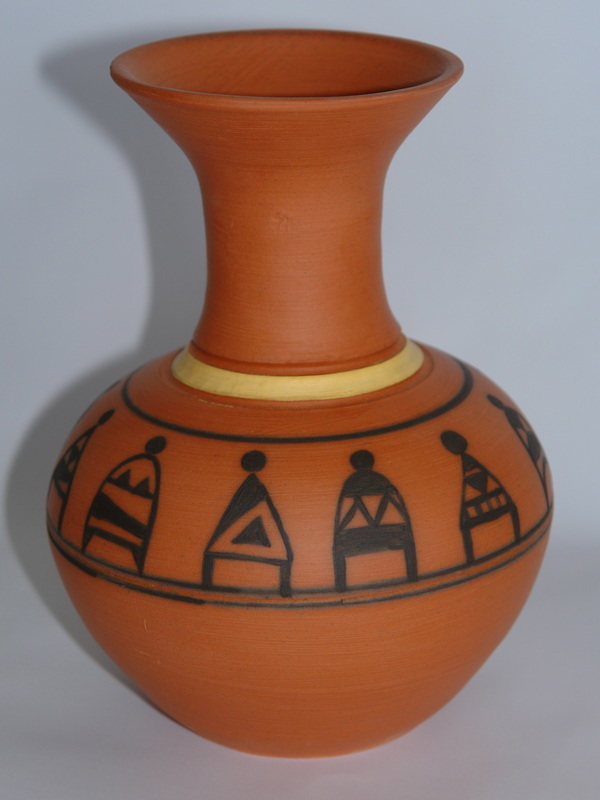 African pottery has always been a source of inspiration with its simple form, earthy colours and minimal decoration. The contrast of black and white, and the richness of terra cotta are some of my favourite combinations. My dry blue glaze melting into black was influenced by the blue and green hues of the sea, and its unfathomable depth. 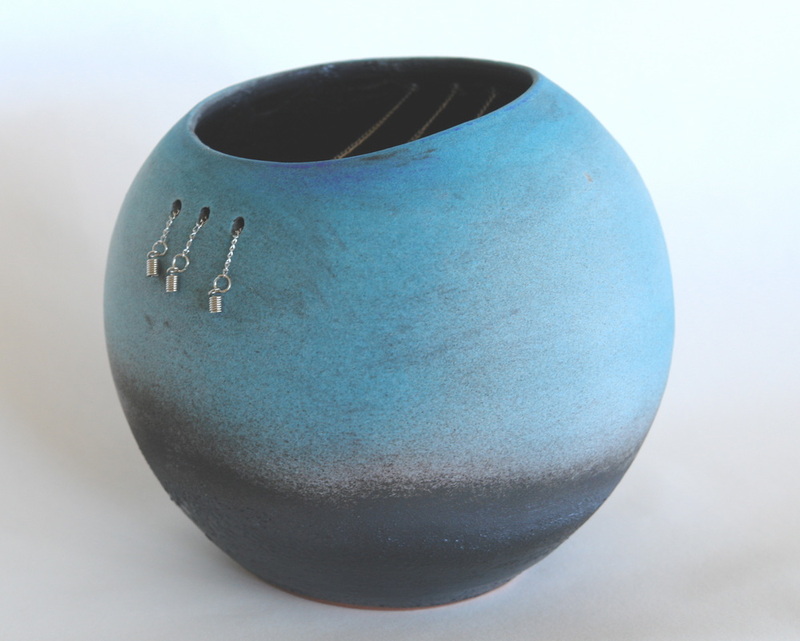 Accentuating and drawing attention to the crazing in a crackle glaze endorses the tension between the precision of the pot and the often capricious nature of its decoration. 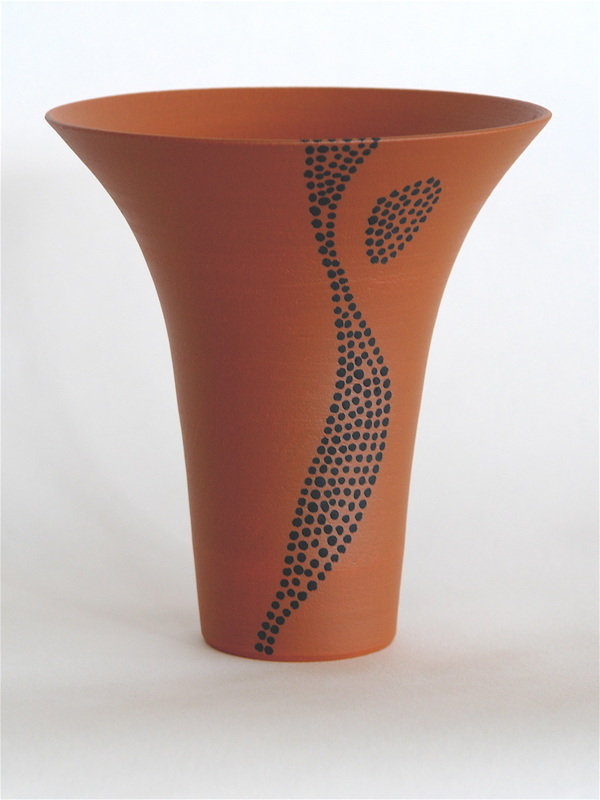 I took the opportunity to consolidate the years of classes, workshops and teaching and completed my Diploma of Ceramics twenty years later. The academic ‘bug’ remained and I went on to study a Masters - Art in Public Space, at RMIT, Melbourne. My project was to integrate art into the healing process using practical & theoretical research. Motivated by a background in nursing, I curated ongoing art exhibitions in various hospital spaces with the intention of improving hospital surroundings and reducing patient stress. I continue with these projects at healthcare facilities.